Renewable energy is that kind of energy that comes directly or indirectly from natural resources. 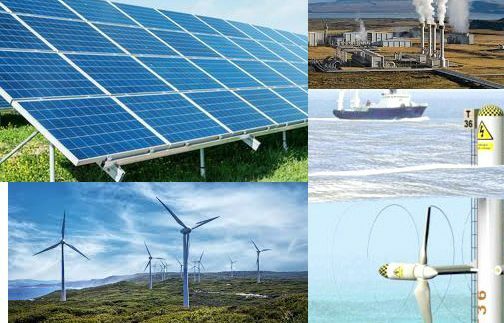 For example, Solar energy, wind energy, Geo thermal, tidal or wave power. 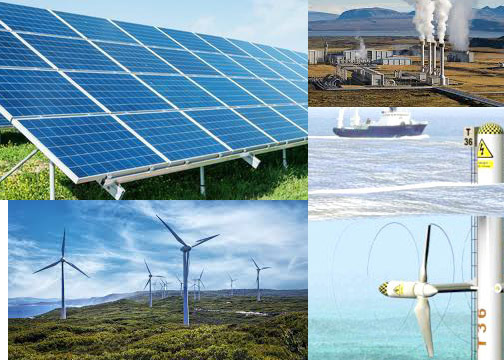 below are different kinds of clean energy explained in detail. The most popular and fast growing renewable energy is the solar energy. The process of the energy takes place with the help of special type of solar cells made up of thin layers of crystalline silicon that depends on the effect of the photovoltaic(PV) to absorb protons and convert them into electrons with the help of the crystalline solar cells. Another form of solar power is the solar thermal power. This type of solar consists of mirrors and lenses to concentrate large area of the light coming from the directly from the sun. 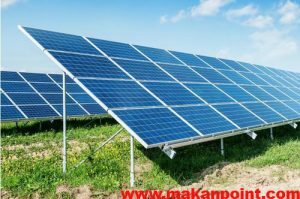 In the late 1980s when the photovoltaic power generating system was introduce at that time the power was only used for small medium sized operations and only for use at homes. But when the commercial concentrated solar power plant has become common and popular, then the energy does not stay only for small uses but were used for industrial uses. Till 2050 the international Energy Agency claimed that solar power with STE and PV operations will constitute over 25% of the market. It will make solar power the world’s largest source of energy. China and India has the world’s largest installation of the solar cells in the world. Mankind has been using wind as a source of energy from hundred of years to run their sails, to power their windmills. 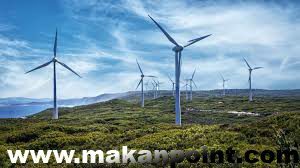 The use of wind for the generation of electricity has become the subject of research since 19th centaury. As compared to all the other sources of renewable energy, wind energy is reliable, cheap and steady. Blades (the blades are installed like fan that rotate with the flow of wind and cause the rotor to spin), rotor (combination of blades and hub), pitch (turns blades out of the wind to control the speed of rotor), generator (produce 60-cycle AC electricity within turbine when the rotor rotates), controller (starts and stops the turbine from working according to the condition of wind), YAW drive (controls and change the direction of the turbine with the change of the direction of the wind). The global wind energy council and Greenpeace international came together to publish a report. This report stated that ‘worldwide wind power can provide as much as 25 to 30%of global electricity by 2050. Commercial installation in more than 90 countries has the total capacity of 218 gigawatts (GW), providing about 3% of global supply. The produce by the heat in the earth crust is known as geothermal energy. In this type of geothermal, when hot water is extracted form the earth. Then the water is pumped into a heat exchanger which transfers heat from the water into the house or buildings heating system. When heat is extracted from the earth crust, then it is send to a turbine, where the hot steam rotate the turbine, the turbine activates a generator that produces alternative current (AC). Geothermal energy is considered reliable because the earth contains 1031 joules worth that flows naturally to the surface by conduction at the rate of 44.2 tera watts (TW) more than double humanity’s current energy consumption. The countries that generate more than 15 percent of their electricity from geothermal sources are El Salvador, Kenya, Philippines, Iceland and Costa Rica. Like the wind energy the tidal energy is said to a potential source of renewable energy, because the blowing wind produce tides in the water. Like windmills, tide mills have been constructed in the middle age, these tide mills were constructed on the rivers and streams, and the water was stored in large ponds and as the tides went out they turned water wheels that produces mechanical energy to mill grain. This process was used till the late 19th centaury. After the 19th centaury the process of falling water and spinning turbines was introduce U.S and Europe. Tidal power has suffered from high cost and limited availability wit sufficient tidal ranges. The process of producing tidal energy is done by Tidal energy generators. These generators were installed underwater in those areas where high tidal movements are found in large amount. 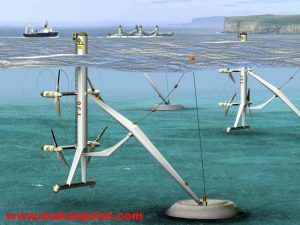 These turbines are designed such that when tides pass above them the catch their kinetic energy and produce electricity.